“Reconstruction of the Metrorail system will continue over the weekend of January 23-25, 2015 with service adjustments on all six rail lines. This weekend, Orange, Silver, Blue, Yellow and Green line trains will operate every 24 minutes. Red Line trains will run every 10-20 minutes. From 10 p.m. Friday through closing Sunday, Red Line trains will operate every 20 minutes between Shady Grove & Glenmont. 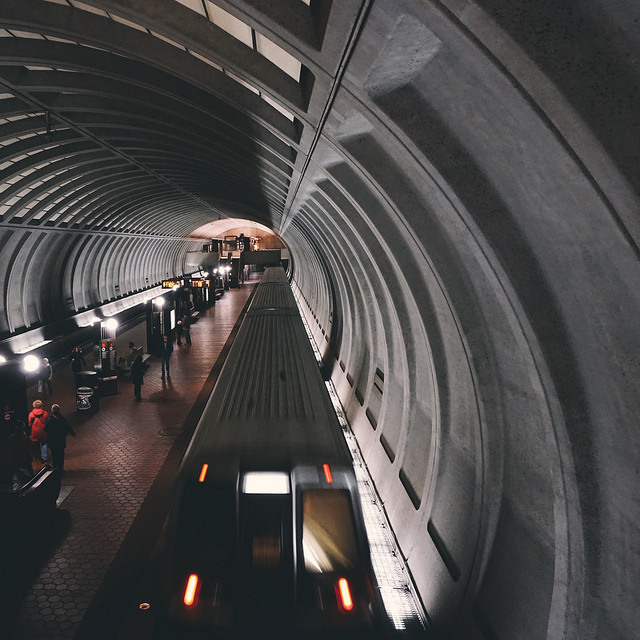 On Saturday and Sunday between 9 a.m. and 9 p.m., additional trains will run between Shady Grove & Judiciary Square, resulting in service every 10 to 12 minutes between these stations. Work Performed: Joint elimination, bridge repair, track, fastener and insulator renewal for a safer ride between Judiciary Square and Rhode Island Avenue. Orange Line trains will operate every 24 minutes throughout the weekend. Work Performed: Emergency call box and cable rehabilitation for a safer ride between Foggy Bottom and Clarendon. Silver Line trains will operate every 24 minutes throughout the weekend. Work Performed: Emergency call box and cable rehabilitation for a safer ride between Foggy Bottom and Arlington Cemetery. Yellow Line trains will operate every 24 minutes throughout the weekend to coordinate train schedules with rebuilding on other lines. Green Line trains will operate every 24 minutes throughout the weekend.